Mother Goose nursery rhymes are great fun to share with children and an important part of childhood for children all over the world. They’re the rhymes many of us got to know and love as babies and pre-schoolers and they're still great fun to share with kids today. But here's the thing: these rhymes are not only fun, they're also really important for our children's cognitive development. This was news to me but the evidence is very clear now. Nursery rhymes are really important because they're great stimulators of phonological awareness, a skill which is important for learning to read later on. They also expose children to language and ideas that they might not come across in other places but the main thing is phonological awareness. And here's another important but little-known fact: phonological awareness develops naturally without explicit teaching if you read to your child and play around with nursery rhymes when they're very young. There are loads of rhymes, stories, songs and poems for young children but most of the ones that come to mind when we think about nursery rhymes can be traced back to the first Mother Goose nursery rhymes and stories. 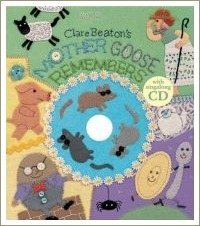 Over the last fifty years, various people have tried to trace the mother goose rhymes back to their origins. What they’ve found is that the nursery rhymes, songs and stories which have for the last two hundred or so years been associated with Mother Goose had their origins in much older stories and rhymes. These stories and rhymes were handed down orally from one generation to the next but, because they were never written down, they changed quite a lot over the years. Sometimes the changes were accidental and sometimes the stories were intentionally adapted to suit the purposes of the storyteller, to suit his audience or to reflect events that were happening at the time. Some of the rhymes weren’t written for children at all but for adults. Some of the tales were blended with parts of other stories to form new ones so that it's almost impossible to work out where the original tale began and what format it took. The Mother Goose nursery rhymes we know today come from two main sources: a book published in France in 1697 and a book published in England in about 1765. There's also a claim that an American woman was the real Mother Goose and that her son-in-law published a book of her stories back in the early 1700s. This claim has been discredited by those who have studied the Mother Goose nursery rhymes and stories and no record or trace has ever been found of the so-called 'ghost book'. In 1697, a French author named Charles Perrault published a collection of eight fairy tales called 'Histoires ou Contes du Temps passé, avec des moralités' which translates as 'Tales of Long Ago, with Morals'. The stories were based on old folktales that had a long oral tradition, although Perrault added his own touches. 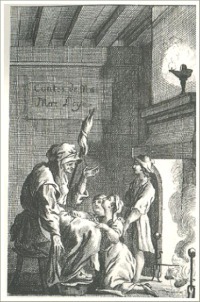 The stories were translated into English and published in 1729 by Robert Samber. 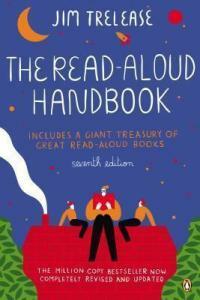 The English versions were also popular and, of course, still are today. 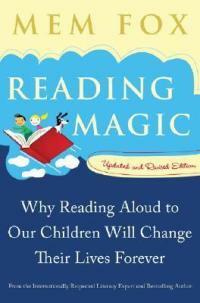 Notice that there were no nursery rhymes in Perrault’s book, only stories. In fact, Perrault is given the credit for having laid the foundations for a new literary genre, the fairy tale, although his stories were derived from folk tales which were already well-known in France at the time. 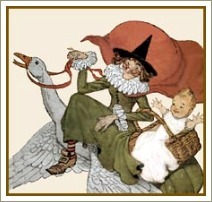 In about 1765, John Newbery, an English publisher, adopted the Mother Goose name for a collection of mostly traditional rhymes which he called Mother Goose's Melody: or Sonnets for the Cradle. 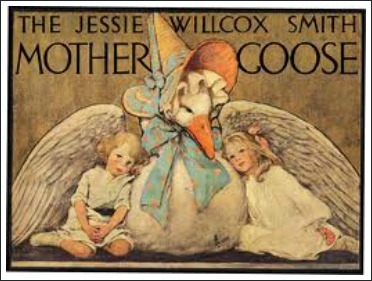 The book was immediately popular and the Mother Goose name started to become associated more with nursery rhymes than with fairy tales, in English at least. 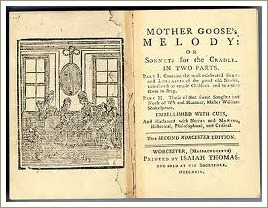 Mother Goose's Melody contained 51 rhymes, described by Newbery as "the most celebrated Songs and Lullabies of the old British Nurses". 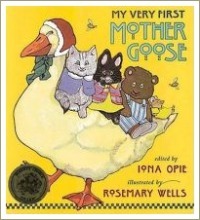 This book is important for two reasons: first, because it contained so many rhymes and second, because pretty much every edition of Mother Goose rhymes since has been influenced by it. 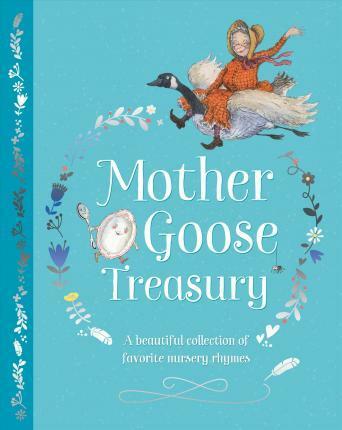 The book was so incredibly popular and printers, publishers and all sorts of people in the literary world caught on quickly with the result that other collections of Mother Goose nursery rhymes began to appear almost immediately. 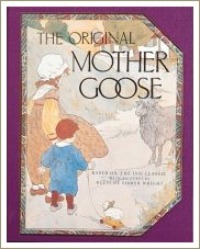 And the name ‘Mother Goose’ has been associated with children's poetry ever since!